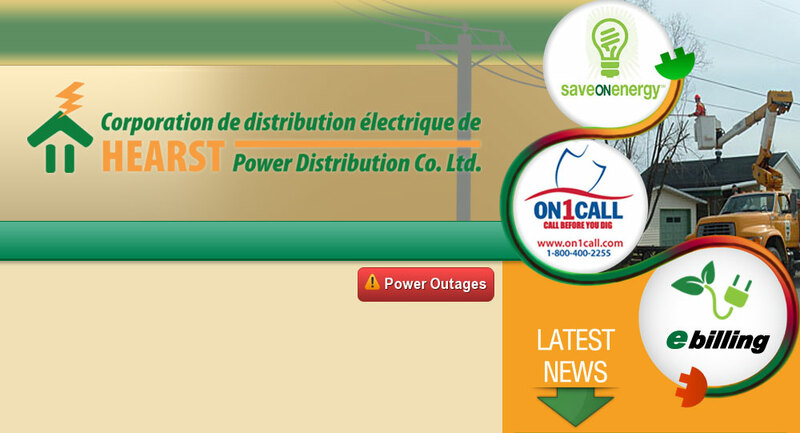 Bugdet Plan / Equal Monthly Payments – Hearst Power Distribution Company Ltd.
A customer’s average monthly billing amount is calculated by taking the aggregate of the total electricity charges billed to the customer in the preceding twelve (12) months, and dividing that value by twelve (12). If a customer has been receiving service from Hearst Power Distribution for less than twelve (12) months, the customer’s average monthly billing amount will be based on the previous resident(s)’ consumption. A customer may request an increase of his monthly payments if he believes the fixed amounts are not adequate. The equal monthly payment amount may be revised and adjusted in the event of changes in a customer’s actual electricity consumption during the term. On the twelfth month, the sum due will reflect the amount of payments received, versus the customer’s actual electricity consumption in the preceding twelve (12) months. The sum due may be higher than the pre-established monthly payment, or may be a credit if the actual consumption is lower than the sum paid over the 12-month term. At the end of the twelve (12) months, Hearst Power Distribution will determine a new monthly payment amount based on the past twelve (12) months consumption. Hearst Power Distribution may refuse to provide an equal monthly payment plan option to a customer who’s account is in arrears, and may cancel an active plan, without notice, where a customer does not provide monthly payments by the due date.